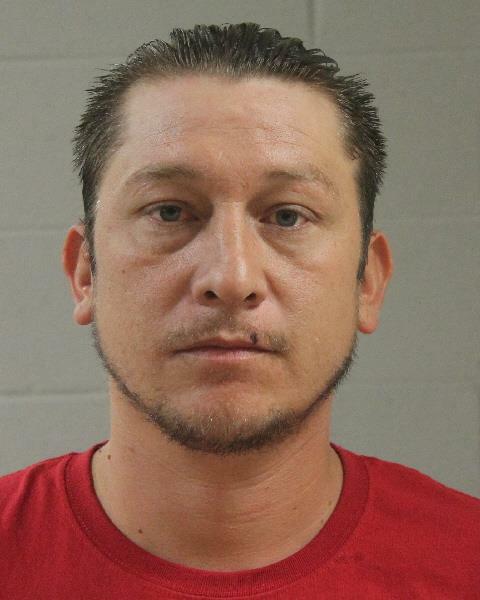 ST. GEORGE — A St. George man reportedly wanted to get out of work so badly that he decided to damage a kitchen appliance rather than deliver and install it. The alleged plan backfired, however, and the man found himself in jail Wednesday, facing a felony charge for criminal mischief. Officers investigated the incident after a St. George business manager reported an employee had damaged company property, according to a probable cause statement written by St. George Police Officer Robert Raybould in support of the arrest. On April 23, Aaron Alexander Longrifle and a coworker were supposed to deliver and install a 42-inch range hood to a customer. On their way to make the delivery, the two stopped at a gas station to get a drink, the statement said. When the coworker returned to the vehicle, he heard a banging noise coming from inside the company trailer where the equipment and merchandise were stored and found Longrifle inside the trailer. After they showed the customer that the range hood was “damaged in shipment,” they took it back to the company warehouse, according to the statement of probable cause. The manager of the store said the item could not be returned because the company protocol is to visually inspect the contents of any box that shows signs of damage, the statement said. The box containing the range hood did not show any signs of damage prior to being loaded for delivery. Based on evidence discovered during the investigation, Raybould determined Longrifle had acted intentionally to damage the product, causing the business a loss of $1,816.80. Longrifle was located at the company’s warehouse and confronted about the incident. Longrifle was arrested and booked into the Washington County Purgatory Correctional Facility. He was charged with a third-degree felony for criminal mischief. His bail for release pending trial stands at $5,000. Longrifle made his initial court appearance on Tuesday. This guy sounds like a good fit for local politics. Ain’t it comfortin’ to know we have this type of upstandin’ citizen in our lovely community? Bet his family is doggone proud!